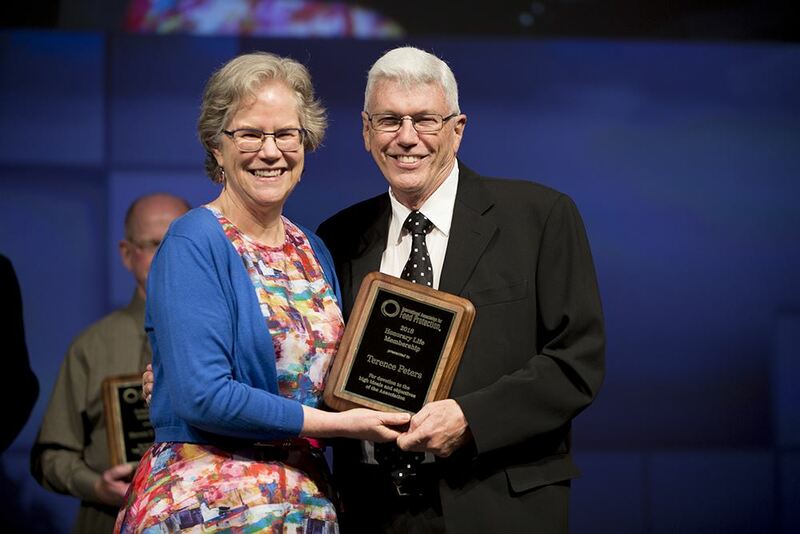 Terry Peters, long time member and volunteer of the BCFPA, was one of five recipients who received the 2018 IAFP Honorary Life Membership Award at the IAFP Conference in Utah. 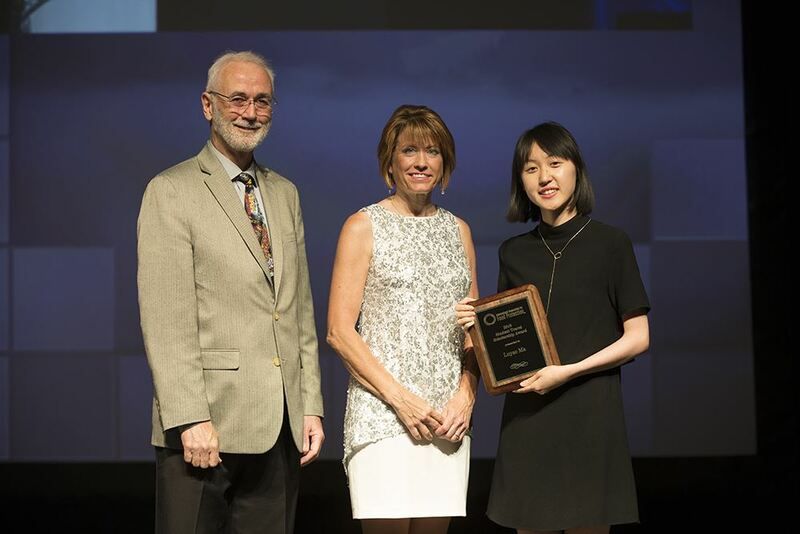 Luyao Ma, who is a UBC graduate student and BCFPA student member, also received the 2018 Student Travel Scholarship Award at the IAFP Conference. Well done, Terry and Luyao! A hard-earned and well-deserved award! Deadline is coming up on August 31, 2018! Submit your poster abstract today! The BC Food Protection Association is providing a one-day Fall Workshop on topics ranging from current and emerging food safety issues to innovative technologies, and the opportunity to network with local food safety professionals from academia, government and industry. In addition, the BCFPA is organizing a Student Poster Competition during the Fall Workshop where students are invited to submit their poster abstract for acceptance to the Fall Workshop, as this is a good opportunity for them to demonstrate the work being done in the area of their expertise. Methods – Describe the type of study, setting for the study, sample characteristics, methodologies used, how the analysis was conducted, etc. Washington Association for Food Protection 67th Annual Conference – September 20-21, 2018. Golf Tournament September 19, 2018. On May 8, 2018, Health Canada published an update on its proposed direction for the development of regulations to restrict the marketing of unhealthy foods and beverages to children. This update reflects policy development since receiving feedback from the 75-day public consultation launched on June 10, 2017. The IAFP has published their 2018 Spring Newsletter, Affiliate View. They have posted our AGM event summary. We welcome everyone to have a read when you have the chance! We are organizing a Spring Speaker's Evening on "Biopreservation: Biological Solutions To Biological Problems" on May 3, 2018, at the Langara Clubhouse (Langara Golf Course) in Vancouver (6706 Alberta Street, Vancouver). Complimentary parking is available. Registration, schedule, rates and speaker line-up are now found on our event page of our website. Due to scheduling conflicts, our Sani Marc speaker will no longer be able to speak at our event. We have found another amazing speaker who will speak on biopreservatives. Register by April 23 to take advantage of our early bird rate! Sustaining Member Display Tables available on first-come, first-serve basis. Contact us at info@bcfoodprotection.ca to reserve a table! 5:30-6:30 PM Speaker: Lynn McMullen on "Biopreservation - From Benchtop To Commercial Reality"
7:15-8:00 PM Speaker: Siyun Wang on "Bacteriophages as a Strategy for Food Safety Enhancement"
Dr. McMullen is a Professor of food microbiology in the Department of Agricultural, Food and Nutritional Science at the University of Alberta. Her research for the past 20+ years has focused on the microbiological safety and quality of meat products, particularly with respect to controlling the growth of bacteria on meat. Her research focuses on antimicrobial peptides as biopreservatives and the application of interventions to reduce bacterial populations on meat. She is the Scientific Lead of the Meat Safety and Processing Research Unit, a level II biocontainment meat processing research facility where research with foodborne pathogens can be done under conditions similar to that found in the meat industry. Lynn will present on: “Biopreservation - From Benchtop To Commercial Reality”. Abstract: In recent years, concerns about the safety and quality of foods have increased the attention given to the discovery and development of new methods of preservation of foods. Biopreservation with lactic acid bacteria that produce antimicrobial compounds has been a focus of research at the University of Alberta since the late 1980s. This has included fundamental research on understanding the genetics of production of antimicrobials and structure function relationships of different antimicrobial compounds that can be used to target specific pathogens. The fundamental research was coupled with research on the application of biopreservatives in meat products to control pathogens such as Listeria monocytogenes. This presentation will tell the story of how the research on biopreservation became a commercial reality and how research continues to support commercial activities. Dr. Wang is an Assistant Professor of Food Safety Engineering at the University of British Columbia. Siyun received her BSc degree in Pharmacy from Fudan University (2005) and PhD degree in Biology from the Institute for Food Safety and Health at Illinois Tech (2010). Prior to joining UBC in 2013, she was a postdoctoral associate at Cornell University. Her research group utilizes systems biology approaches to understand the microorganisms that post major threats to food safety and public health. Over the past five years, she has worked with BC-based growers and food producers on resolving food safety issues using innovative strategies. Dr. Wang was awarded the Young Researcher Initiative from the European Food Safety Authority, and a travel grant for young women scientists in underrepresented disciplines by the National Science Foundation of the U.S.
Siyun will present on: “Bacteriophages as a Strategy for Food Safety Enhancement”. Abstract: It is a big challenge to control foodborne bacterial pathogens in foods and food processing environment. Phages lytic to foodborne pathogens have been explored to reduce the contamination of Salmonella enterica, Shigella spp., Listeria monocytogenes and Shiga-toxigenic E. coli in food supply systems. This talk will present a current overview of commercially-available phage-based products, as well as recent research findings contributing to the improvement of phage-based food safety strategies. You are invited to share this notice with your networks. Health Canada launched the Healthy Eating Strategy for Canada on October 24, 2016. The goal of the Healthy Eating Strategy is to create a food environment where the healthier choice is the easier choice. Chronic diseases are a major public health concern in Canada. Unhealthy diets high in saturated fat, sugars and sodium are one of the top risk factors for obesity, type 2 diabetes, high blood pressure and heart disease. Health Canada is proposing to introduce mandatory front-of-package labelling for foods that are high in nutrients of public health concern, namely saturated fat, sugars and/or sodium. Front-of-package labelling will provide quick and easy guidance to help you make informed choices about packaged foods and help improve the nutritional quality of packaged foods available in the marketplace. Health Canada is launching a consultation on front-of-package labelling. The official Canada Gazette, Part I consultation will take place from February 10 to April 26, 2018. Please note that the Canada Gazette is available online on Friday at 2 p.m. Eastern time, ahead of its publication on Saturday. Since we want to hear from as many Canadians as possible, we have also created a short, consumer-friendly online consultation for you to tell us which front-of-package nutrition symbol you find useful. This consultation is open today until April 26, 2018. Your responses will help guide the choice of a nutrition symbol for the front of food packages in Canada. We invite you to participate in both front-of-package labelling consultations and to spread the news about the consultations to your family, friends and colleagues. Health Canada will be holding a one hour webinar on March 1, 2018 that will provide a technical overview of the Regulations Amending the Food and Drug Regulations (Nutrition Symbols, Other Labelling Provisions, Partially Hydrogenated Oils and Vitamin D) posted in Canada Gazette Part I on February 10, 2018. Invitations to the webinar are forthcoming. Our 2017 AGM Survey is now out. Please take a few minutes of your time to fill this out, thank you! Your feedback is greatly appreciated in helping us plan our future events! 2018 January BCFPA Grapevine Newsletter (Vol 5, Issue 01) Is Out! Click here to read our BCFPA Grapevine Newsletter (January 19, 2018, Vol 5, Issue 01)!